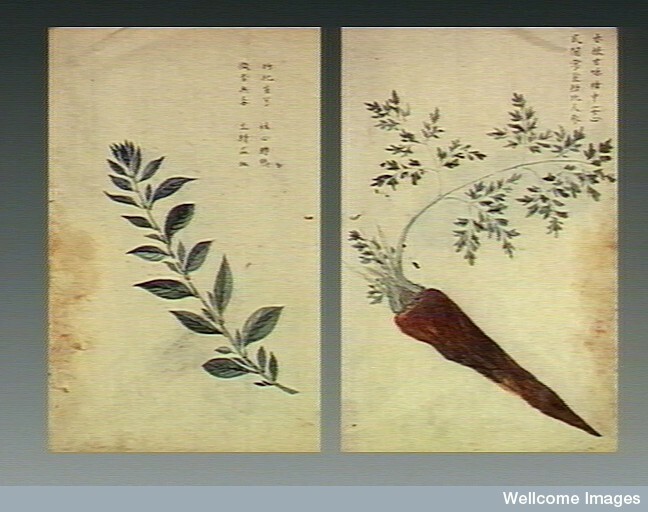 PHIL ESCOTT – Author » V0043624 A carrot (Daucus carota): root with leaves. V0043624 A carrot (Daucus carota): root with leaves. © 2019 PHIL ESCOTT – Author All Rights Reserved.